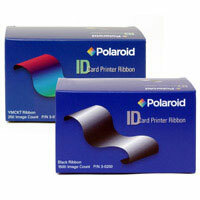 Polaroid is transferring to a newer greener updated RFID printer ribbon for all models. The 3-0104-1 replacement ribbon has the same specs as the 3-0104, but it requires a firmware update (downloadable here) that the end user needs to run on their printer before using the new ribbon with newer RFID. This new 3-0104-1 replacement ribbon will not work in the printer unless the end-user has run the Firmware Update.